WBMX and The Hot Mix 5 are featured on this week’s ‘Retrospective’. 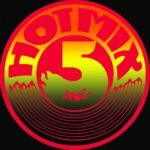 The roots for the Hot Mix 5 and the success of WBMX in the 80’s were planted in 1979, we’ll explain the timeline so you can get a better feel for it all. When you think about it, today, the DJ is as big as an artist. Today, many DJS are the artist. Today, many DJS have residencies in Las Vegas. Here in Chicago, like NYC and other cities, there were great DISCOS including Faces, BBC and others that were on Rush Street, the burbs had The I II III, Prime N’ Tender, Trammps, Rich Kids, Cinderella Rockafella, Studio One, The Fire Alarm and more. In the city, away from Rush Street, there was Nimbus, Dingbats, Sauer’s, Coconuts, Zaks, Hollywood Disco, the Century Disco and the iconic Warehouse along with Dugan’s Bistro. Disco DJS were breaking great new music long before radio stations were and many wound up in the studio re-producing hits for artists. Today, that’s a commonplace, not back in the day. 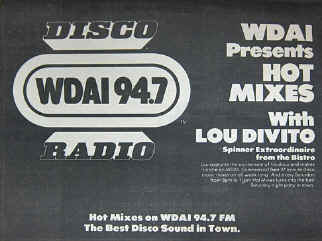 On Christmas Eve, 1978, near the end of the disco run, 94.7 FM in Chicago flipped from an AOR/Rock station to Disco DAI. Out went Joe Walsh, Seals & Crofts, Eagles and others in exchange for Donna Summer, Sister Sledge, Lipps Inc. to Candi Staton, THP Orchestra, Dan Hartman, John Davis & The Monster Orchestra, Cerrone, The Trammps, K.C. & The Sunshine Band and more. In fact, on Sunday nights here on The Beat Chicago and on 102.3 FM, we bring that spirit back with our Sunday Night Fever. The music was so popular, even future Hall of Fame DJ (inducted in 1995), Chicago icon Herb Kent (who many consider the longest-running DJ ever on the radio and passed away in 2016) was broadcasting his show on 105.9 FM WXFM playing a mix of disco, soul and funk that people were dancing to in the clubs as well as early ‘punk-out’ music from artists like Devo, Talking Heads and more. California native Steve Dahl was doing mornings on WDAI when the station changed to DISCO DAI. He was handed his walking papers and wound up at ‘The Loop”, 97.9 FM where he’d meet his future partner, overnight DJ Gary Meier (he was known as Matthew before Dahl accidentally called him by his real name). Dahl’s anger and rage over the firing (along with other bizarre hatreds for a ‘music’ style that hurt no one) are what prompted DISCO DEMOLITION at the home of the White Sox, Comiskey Park on July 12, 1979. Dahl’s ‘Coho Lip Army’ showed up to blow up disco records, protest their dismay for disco and caused the White Sox to forfeit the second game of their double-header. This is where disco was effectively laid to rest, only to give way to house music a few years later thanks to Chicago, our sister station WBMX and Chicago DJS like the Hot Mix 5. So here we are, post-disco, it’s 1981, The Bodacious FM, 102.3 FM WBMX (as it was known prior to it’s legendary status) was now under the reigns of radio programming guru Lee Michaels. 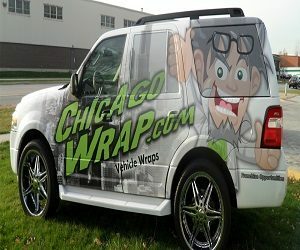 There were other ‘urban’ stations in Chicago including the long-standing #1 WGCI (Studio 1075 at the time) as well as WJPC which had recently gone 24 hours (on the AM). WBMX played the R&B hits of the day along with some of the uptempo dance. You’d hear Al Jarreau, Gladys Knight, Michael Jackson, Tina Turner, Howard Hewett, Patti LaBelle, some of the songs made popular from the mixes and more. In fact, take a listen to what WBMX sounded like on a typical day back in the 80’s below with an edited ‘air check’ from 1986 with DJ Dan Shannon on the air. 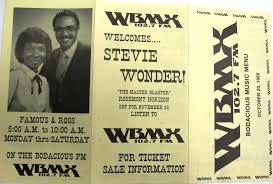 Lee Michaels was doing mornings at BMX, he had actually first landed at WGCI before being lured over to WBMX. Along with his programming prowess, Lee had this idea to pick up where DISCO DAI left off and WGCI stopped (WGCI aired remixes post Disco DAI from Kenny Jammin’ Jason and others). The idea was simple, it was successful before so… do it again and expand upon it! Lee assembled a variety of DJS from around the city, all types, playing for different people and feature them in mix shows that would set a standard radio stations still follow to this day. Many of today’s biggest DJs/Producers cite ‘house music’ and The Hot Mix 5 as their inspirations and influences. The Hot Mix 5 were an American DJ team originating from Chicago, Illinois. These amazing DJS were remixing songs on the fly, live in the club with reel-reel tapes, cassettes, casio keyboards, drum machines and playing the freshest music right off acetates and test pressings (back in the day, that was the equivalent of what Tiesto and the rest do today with the big difference being, back in the day, no one had computers in their booth. Assembled by Lee Michaels in 1981. The founding members were Farley “Funkin” Keith (later known as Farley “Jackmaster” Funk), our own resident DJ, U.S. Dance Music Hall of Fame DJ Mickey “Mixin” Oliver, Ralphi Rosario, Kenny “Jammin” Jason, and Scott “Smokin” Silz. Another DJ, Jeff Davis who had worked at the Century Disco was supposed to be a sixth member, but Silz mentioned in an interview that he never showed up, leaving just the five members. Silz left the group in 1982. 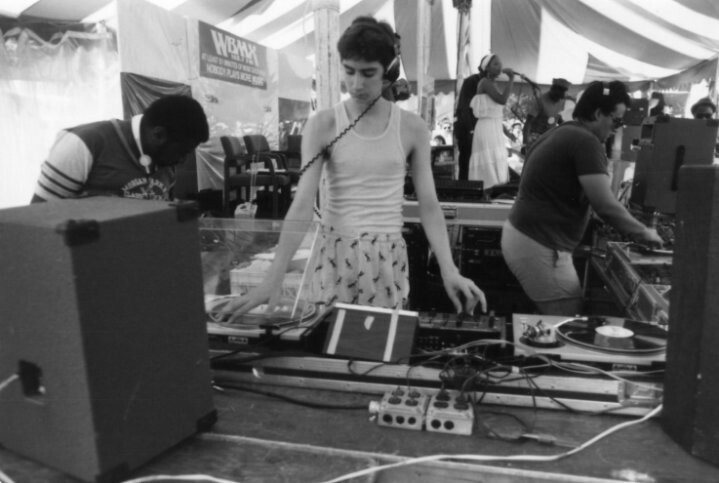 His void was filled in a city wide, Hot Mix 5 sponsored ‘Battle Of The DJS’ that was won by Julian Jumpin’ Perez in 1984. Scott’s talents were many, later he’d go on to be the production director for V103, and runs an amazingly successful mobile DJ service in the Chicago area today. 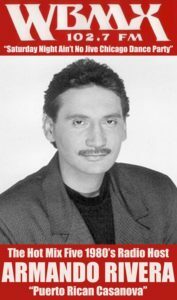 Julian then left the group and was replaced by Mario “Smokin” Diaz who became an official member of the Hot Mix 5. The DJS would record their mixes (as they did on WDAI) on reel-to-reel tapes and drop them off at the radio station to be aired. Guest DJS would also include local DJS like Sal Amato, Julian Perez (who’d go on to become a member of the Hot Mix 5), Jimmy Perna, Alex Childs and other DJS who’d worked some of the biggest clubs in the city/suburbs. The ‘mixes’ were on Friday nights with “The Friday Night Jams”, Saturday nights with “The Saturday Night Live Ain’ No Jive Chicago Dance Party“ hosted by Armando Rivera and heard by over 1,000,000 people each weekend. Rivera also hosted “Chicago Street Hits” before the mixes would start, breaking in new music no one else in the city was playing. In addition to that, he’d later create a cable show with the same name aired on local access here in Chicago featuring house and dance artists heard in the mixes. 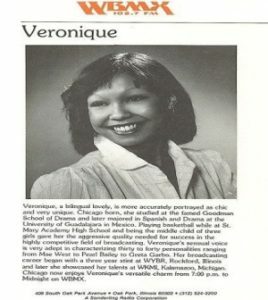 Eventually, more mixes were added to the station’s programming including the “Hot Lunch Mix” with Veronique, The mix at 5 and later at night at 10 O’Clock on the week nights. 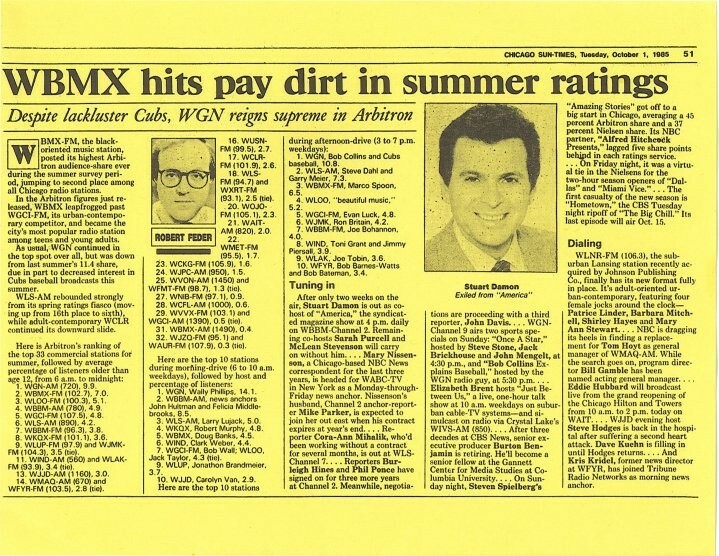 By the summer of 1985, WBMX had done what no other radio station had done in years, dethroned ‘elevator music FM 100″ and WGCI as the #1 music station in Chicago – thanks in part to the The Hot Mix 5 and an amazing on-air roster including Doug Banks, Veronique, Marco Spoon, Kenny McReynolds and more – assembled by Lee Michaels. In 1986, after a spat over money in his new contract, Lee would leave the station for greener pastures. Marco Spoon who is said to have created the term “Saturday Night Live Ain’t No Jive Chicago Dance Party” along with the term “Hot Mix” would take over as PD. 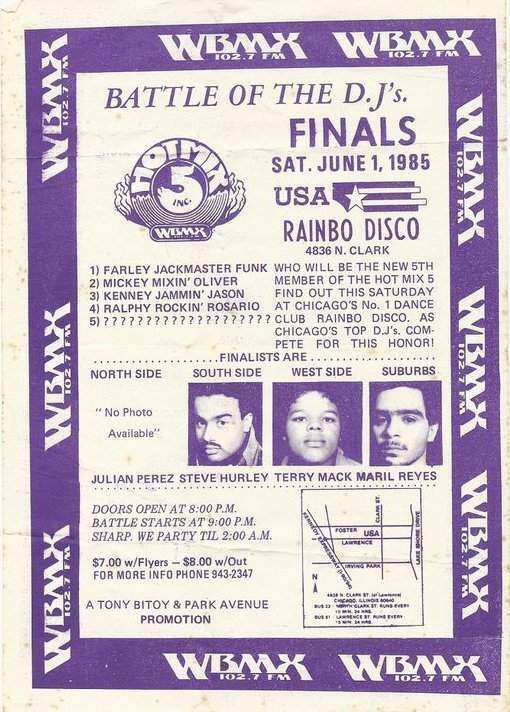 The Hot Mix 5 would go through some changes including leaving WBMX for WGCI and other DJS including Frankie Hollywood Rodriguez, Bad Boy Bill, Steve Silk Hurley, Mike Hitman Wilson and others would fill the void. Check out Bad Boy Bill and others at the WBMX tent at Taste Of Chicago in 1986 below. Michaels would be lured back by the owner of WBMX (Egmont Sonderling) and it was sold in 1988 for 28 million dollars. The radio station has been V103 since playing today’s R&B and throwbacks. You can find that whole story explained in THE REAL STORY which you can find below as well and it’s a doozy. The City of Chicago, recognized the Hot Mix 5’s contribution to the creation of House music and honored them by presenting each member with an individual honorary street signed placed in the areas they came from or represented back then. 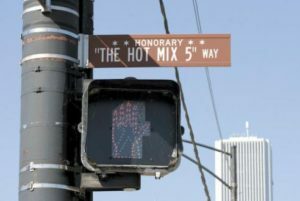 In addition, a street called “Hot Mix 5 Way”, which is located in downtown Chicago on the corner of Michigan Avenue and Balbo highlights their contributions to dance music and the craft of DJ’ing. The street signs were a result of the hard work Armando Rivera did in getting it done. Armando Rivera was always there to bring history back to the radio. 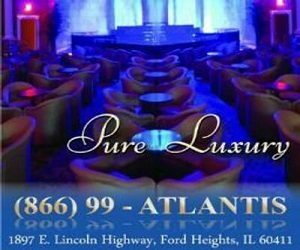 He had done it while at WGCI in the mid 90’s on his “Club 1075 and again when he was APD at V103 with a massive 35 year sold-out reunion party at Chicago’s House Of Blues. If you missed that, read about it HERE and check out the video from it courtesy of SCOTT SMOKIN’ SILZ, an original member of the Hot Mix 5 below. Today, Armando is a consultant in radio. 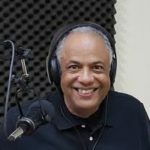 Rivera left the operational side of radio after over 35 years to pursue the consulting side and to pursue other opportunities. 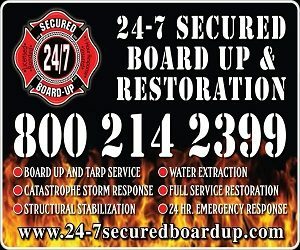 Lee Michaels is enjoying life on the west coast and runs his own network while Sal Amato, whose friendship goes back over 35 years with the two is still acting, writing and runs the WBMX website as well as the network here that includes The Beat Chicago. Take a listen to the REAL HISTORY OF HOUSE MUSIC and WBMX below from an exclusive interview done back in 2006 to document the history from the man who made it happen, Lee Michaels and The Hot Mix 5.